Our flight into Melbourne on Thursday was pretty uneventful, inspite of the cloudy skies. I had cringed in anticipation of a serious rocking coming in over the city. And right after touch-down, I was in SMS exchange with bankevair to ensure she was circling aimlessly at the airport carpark. Unfortunately the weather in Melbourne is a touch colder than here in Brisbane and both of us had to slip on a jacket as we waited the 2 minutes it took for bankevair to come around the corner. The wet weather probably didn't help, but we arrived at her house safely - after a traffic congestion on the highway, where 3 lanes became one. We were given the quick tour of the sharehouse and introduced to the housemates and 2 kitties, Satin (aka the Princess) and Tinsel (aka Do-whatever-you-want-with-me). Then it was off to alcohol! Mmmmm... port! And that's when we learn that iriael turns completely bright red after one drink. An early night in (thanks for letting us have your comfy bed and quilts, bankevair!) meant an early start in the morning. After breakfast at Chez Maria (review here), we went off to Dandenong and the Yarra Valley. 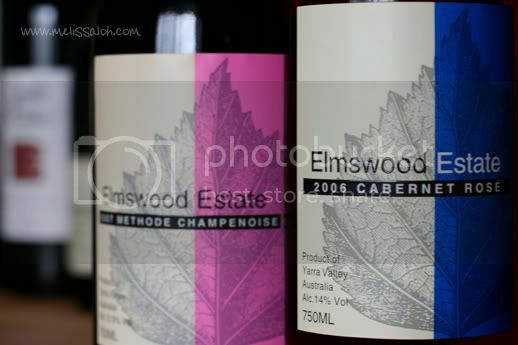 Our first winery stop was Elmswood Estate. The property is gorgeous and it's easy to see how it can be a very popular wedding venue, with views overlooking the grapevines in the valley and morning/evening mists rolling in. And to add more detail, I could spy little muddy fox pawprints across the pavement. We got chatting with the lady behind the counter (as you generally would) and she recommended Yering Station, warning that it would be extremely up-market. 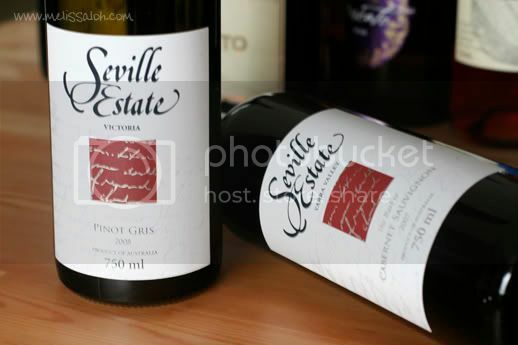 But bankevair had a plan and we headed to Seville Estate instead. 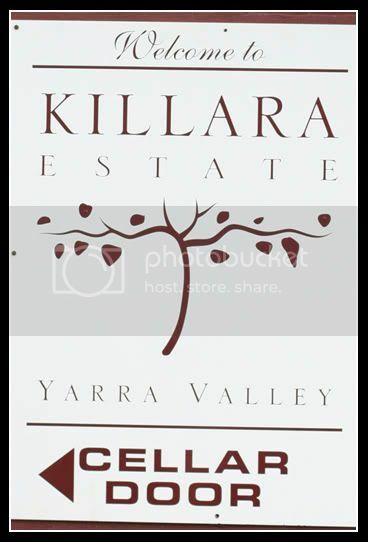 The cellar door is much more rustic than Elmswood Estate, filled with dark woods and a barn style atmosphere. The guy there pulled out all the wines from their range, describing each to be 'elegant' - but I found most not to my liking (more later on my taste for wines). Besides, the winery's Red Heeler, Molly was far more demanding- she insisted we play catch with a bung and later, sticks by dropping them at our feet each in turn. She is in Wine Dogs is guide to dogs living and working in the vineyard, winery and tasting rooms of wineries around the globe. Several wineries we tried to stop by (Five Oaks Vineyard and Morgan Vineyards, I think) weren't open, so we pressed on. Our last winery stop of the day Killara Estate certainly has a family vibe - a large sitting and dining area, complete with the largest fireplace I had ever seen. I have no wine palate. ... actually, that's incorrect. I can detect notes, such as pepper, vanilla, plum and berries. But I do not have a cinematic experience everytime I sip wine, ala Kami no Shizuku. Island of flowers? Madonna? Long-forgotten memories? I don't think so. I don't have a preference between reds or wines. 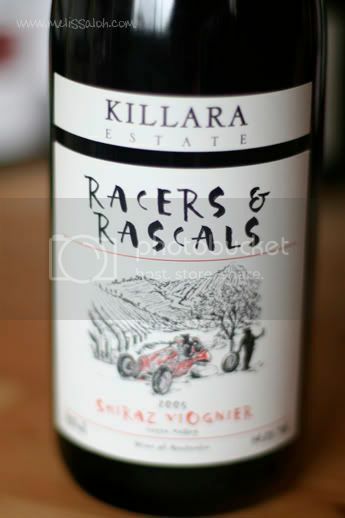 That said, I do like sweeter wines. Wines with bite are big no-nos. I love them smooth, silky and easy drinking. Full or subtle, it doesn't matter. Which is why if given a choice, I prefer to down a glass of port, moscato or muscat. I'd rather get something sickeningly sweet than a slap in the face. This page was loaded Apr 22nd 2019, 2:47 am GMT.